Autumn brings one of the most beautiful times of the year with colourful leaves, a cool crisp air and the first signs of glimmering frost on the trees. 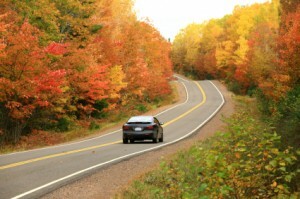 But despite the beauty, autumn can be one of the most dangerous times of the year for motorists. Low, dazzling sun can be one of the most dangerous parts of autumn, with research revealing that accidents due to low sun increase threefold in October. Taking care when the sun is low is one of the most important things you can do. Fallen leaves piled along the roadside may be a scenic part of autumn, but if those leaves get wet, they can be as big a hazard as a puddle or standing water. If you hit a patch of wet leaves, you can lose traction, and braking and steering may become difficult. Leaves can also have a devastating effect on the electronics of many modern cars. At this time of year it’s quite common for leaves to accumulate in ‘plenum chambers’ – the tray like area under the bonnet, just below the windscreen. Leaves can block up the drains and cause them to fill with water when it rains which then leak into areas that should be protected from the elements, such as computers which control the engine, braking systems and other electronics. Trapped water can also make the windows constantly mist up, impairing visibility and reducing safety. So next time the bonnet is up, have a look at these chambers and clear out any leaves and grime that have accumulated, as well as checking your cars components, oils and anti-freeze. 1. Keep sunglasses nearby to help shield away low dazzling sun. 2. Keep your windscreen clean and free from smears which will be enhanced by low sun. 3. Treat wet leaves the way you would a water hazard, slowing down and braking and steering carefully. 4. Check your antifreeze ahead of any frosty weather, and stock up on de-icer. Take the time to clean any frost off your windshield so you have full visibility. 5. Make sure your wiper blades, tyres and brakes are all in good working order, as well as your cars batteries, which are often susceptible to problems due to frost. September marks four successful years of the Good Garage Scheme, seeing the company grow to a 2,913 strong membership of independent garages nationwide and a staggering 304,565 customer feedbacks published on the Good Garage Scheme website. The Good Garage Scheme are celebrating their birthday with their largest ever television advertising campaign, beginning on 27th September 2010. The advert, with the catchphrase ' It's like having a friend in the know' will star on ITV2 nationally, SKY television channels nationally and five regions of ITV1 including all of Scotland and the Borders. The campaign is set to run for two weeks ending on 7th October. The Good Garage Scheme will be advertised to over 13 million viewers on ITV1 alone. Keep an eye out for our adverts and let us know if you see one! As part of the fourth birthday celebrations the Good Garage Scheme has taken the opportunity to show their support for the automotive industry charity, BEN, by sending 10p for every visit to the member site, www.ggsbenefits.co.uk, during September and October of 2010. An investigation has revealed that almost half of Britain’s 33.5million drivers would not pass their driving test if they were to retake today. The investigation, carried out by What Car? magazine suggested that 15million motorists have picked up so many bad habits that that they fall below test standard and are an accident risk. The study, which used volunteer drivers aged between 19 and 70, found that 30% of the volunteers were marked down for poor observation or failing to check for hazards and 15% broke the speed limit or failed to ensure a margin of safety when moving off. One in ten made incorrect use of signals, failed to stop at pedestrian crossings or maintain adequate control of the car. Troublingly, eight of the volunteers committed errors so serious that an examiner would have failed them on the spot. Sales of diesel cars in Britain have overtaken petrol-driven vehicles for the first time, as drivers choose fuel efficiency over speed, research has shown. Once only fit for the slow lane, research has revealed that diesels are at their most popular since they first hit British shores during the Second World War. 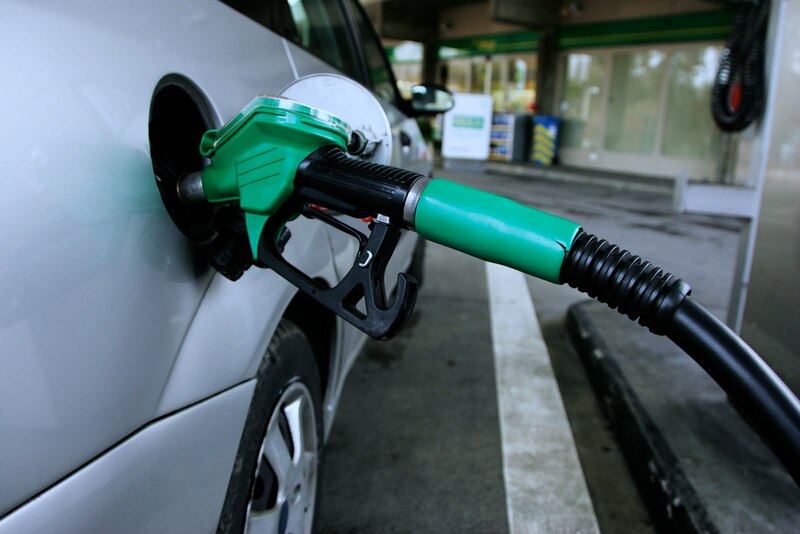 The figures come from the SMMT (Society of Motor Manufacturers and Traders) and show that a record breaking 50.6% of all new car registrations in July were for diesel cars, which is a massive rise of 11.8%. In the same period, sales for petrol cars declined by 13.2 per cent. The move has been encouraged by the government’s Scrappage Scheme, which saw the rise of new diesel cars soar, but also fear of the double-dip recession that has made consumers tighten their belts and choose fuel efficiency over speed.. The fact that diesel engines can offer up to 20% more fuel efficiency than their petrol counterparts has been major selling point to cash-strapped Brits. Research conducted by Nationwide Autocentre revealed that 86% of consumers have adopted at least one method of reducing their fuel consumption, which included 17% trading in their car for a more fuel efficient model. While the price of petrol fluctuates wildly, the AA has estimated that it will be about two years before diesel prices start to climb again. A recent survey has revealed that 53 per cent of drivers admit to sometimes being aggressive behind the wheel, while nearly 20 per cent admit to often behaving this way, displaying disrespectful behaviour such as speeding, driving erratically and ignoring road signs to beeping a horn in anger, making offensive hand gestures, yelling, swearing and flashing headlights. The UK insurer AXA, who carried out the independent survey, revealed that insurance premiums have risen 11.5 per cent in the last three months, partly because of road rage and disrespectful driving. They estimate that £945 million could be saved if British motorists were to rid themselves of aggression and disrespect of fellow drivers. The survey found that almost four in 10 drivers involved in the 222,100 accidents on British roads every year say they were frightened or angered by other drivers in the moments before a crash or collision. Motoring psychologist Peter Marsh says that disrespectful, aggressive driving can cause an accident, while the negative emotions created by this type of driving can cause other drivers to become irrational and make mistakes. AXA also revealed that 79 per cent of drivers believe that British motorists are generally disrespectful to fellow road users, with 52 per cent having been subjected to a “significant” act of road rage such as shouting and aggression. So how can you tame road rage? 1. Get enough sleep. Not getting enough sleep makes us prone to feelings of annoyance, resentment and anger. 2. Plan ahead. Add ten minutes to your expected travel time and prepare things the night before. Extra time equals calmer driving. 3. Your car is not a therapist. Don’t use your car to blow off steam. 4. Turn down the music. 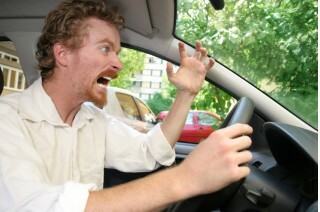 Some music can exaggerate feelings of stress or anger, so listen to calmer music to reduce road rage. 5. It’s not about you. If someone has cut you off, or the person in front is going slow, remember you are not the target. Maybe there is a screaming baby in the car, or they just made a mistake. Just don’t take things too personally. 6. Use restaurant etiquette. While it’s upsetting when a stranger is rude or cuts in line in a restaurant or shop, you wouldn’t become abusive as a result. Driving a car makes people feel more isolated and protected, allowing them to act in ways they would normally find embarrassing. Respond in the same way you would in a restaurant. 7. Practice kindness. Say sorry if you make a mistake or allow someone to merge in front of you. Simple courtesy can make the driving experience a lot nicer for everyone. Members of the UK-wide Good Garage Scheme have been chosen to carry out repairs for a major player in the insurance industry. 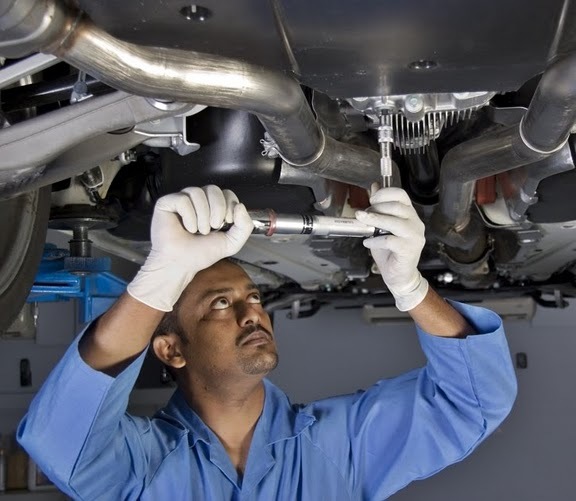 Global Insurance Management, one of the UK’s leading insurance specialists and a provider of mechanical breakdown insurance, wants to use Good Garage Scheme members as part of their preferred supplier programme to carry out repairs for their customers. 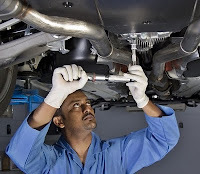 If anybody with a policy contacts Global Insurance Management, the company wants to direct them to Good Garage Scheme members and other preferred suppliers to carry out the work. Phil Dugmore, Technical Manager at the Good Garage Scheme, said: “Members can really benefit from this initiative. All they have to do is fill in an enquiry card and let Global Insurance Management know that they want to be on their recommended list. “ The preferred supplier programme is a great service for customers of Global Insurance Management and a great benefit for Good Garage Scheme member garages as it could lead to repeat business with customers returning for MOTs and services,” he said. “Both Global Insurance Management and their policyholders can only benefit from the preferred supplier programme with the Good Garage Scheme and their members, guaranteed repairs backed by a recognised code of practice within the industry”, said Mark Smith, Claims Director for Global Insurance Management. How often do you spend in your car a day? Research carried out by Loughborough University revealed that absence from work due to back discomfort was six times greater for those who drive more than four hours a day. In the same study, one third of all drivers reported that they had experienced moderate or severe discomfort in the low back in a typical week. So what can you do to reduce the risk of pain or discomfort? With about 80% of us experiencing back pain at some stage in our lives and much of this aggravated by poor posture whilst sitting down, it’s important to follow these tips to reduce the development of back pain. • Wisely select your vehicle when buying, consider how the car fits you as an individual driver and how adjustable the space is. Use this Car Selection Checklist to help. • Make sure you get out of the vehicle as often as possible, move about and carry out small stretches if you can and take a small walk. • Vary your work activities as much as possible during the day if your work frequently involves driving. • Take a break from driving every two hours, more if possible. • Follow a posture guide to ensure you are sitting correctly, such as this Posture Guide. 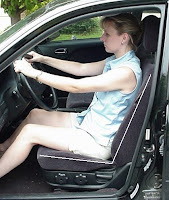 • Make small adjustments to your driving position every couple of hours, including doing some mild movements whilst driving to keep your spine moving - this is crucial to maintain good spine health.